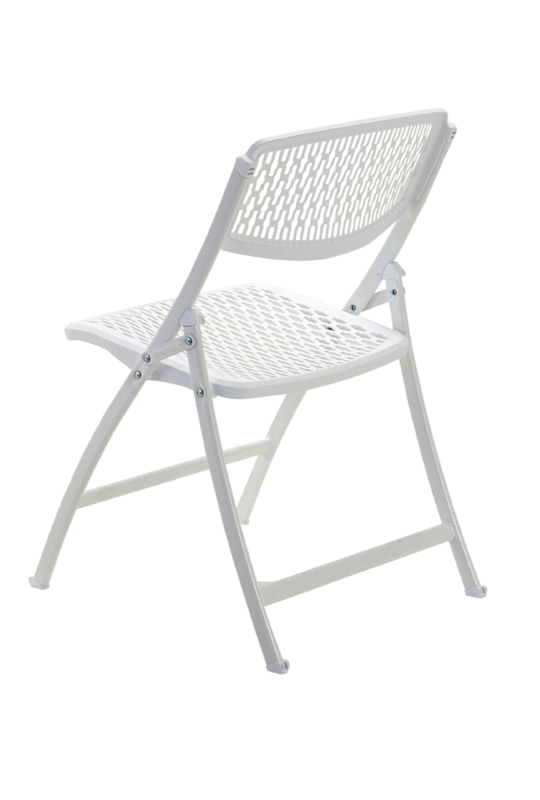 One Series PRO from MityLite sets the standard for comfort in a folding chair at an economical price. Constructed in the USA from high-impact steel & stain-resistant polymers, OneSeries PRO is extremely durable and stands up to the rigors of commercial use. With its unique ventilated design, OneSeries PRO’s breathable seat and backrest flex to the contours of each individual, minimize pressure points and provide unbelievable comfort. Experience excellent ergonomics at an economical price, choose OneSeries PRO!